Unlike in Hawaii, in California, girls don’t surf. Feeling homesick, Nani makes it her mission to do the next-best thing: join the lineup of the coolest girls on the beach, who sit like goddesses at the shoreline. But popularity comes at a price, and Nani is forced to hide a series of secrets that if revealed could ruin everything she’s worked so hard to achieve. Nani’s beauty captures the attention of surf babe Nigel McBride making the lineup love her even more. During a party at Nigel’s Malibu estate, Nani’s status in the lineup becomes official, but her life becomes even more complicated when she realizes it’s not Nigel she’s into, it’s Rox, the leader of the lineup. But there are unwritten rules that govern this society, and liking girls is social suicide. Will Nani keep this secret to become the ultimate Honey Girl of State Beach or will she risk it all for a chance at true love? "Where was this book when I was fifteen? Honey Girl is a daring debut. A fierce story of female friendship, earned acceptance, and following the unwritten rules of Southern California beach boy and girl culture of the 1970's." "If Jane Austen had been a fifteen-year-old Southern Californian beach girl living in the 1970's, this is very possibly the novel she would have written. Lisa Freeman catches it all: the baby oil for tanning, the abalone bracelets, the taste of salt on skin. 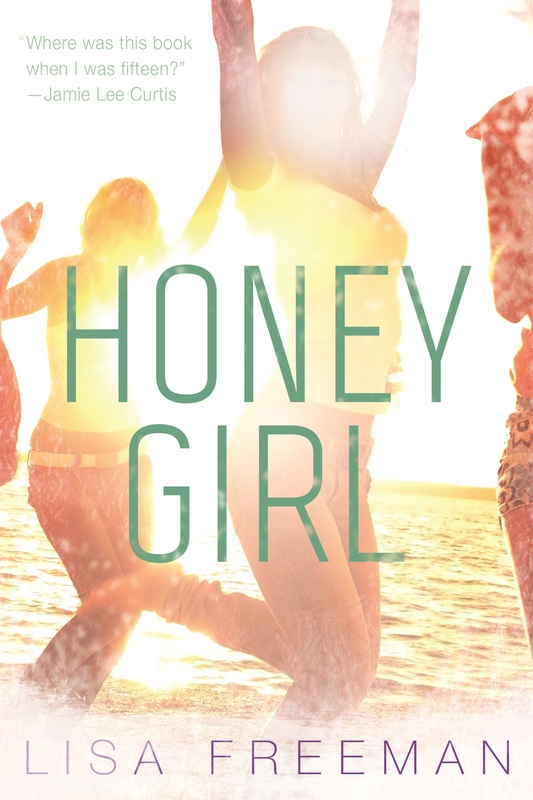 Honey Girl is a bildungsroman and book of etiquette rolled into one, and its subject is one of my favorite cultures: the brother (and sister) hood of surfing." "Lisa Freeman's debut YA novel is one of those delicious books you want to drink down in one sitting......she creates a world rich with detail and description, dropping you into the complicated social structure of elite surfers and the girls who want them." not a very nice word, used to describe white people—tourists. Originally it was used on the missionary folks who invaded the islands to convert us “savages.” This word explains people who do not breathe when they pray. big, strong men. Not a word to ever be used by haoles since it’s English slang for donkey.